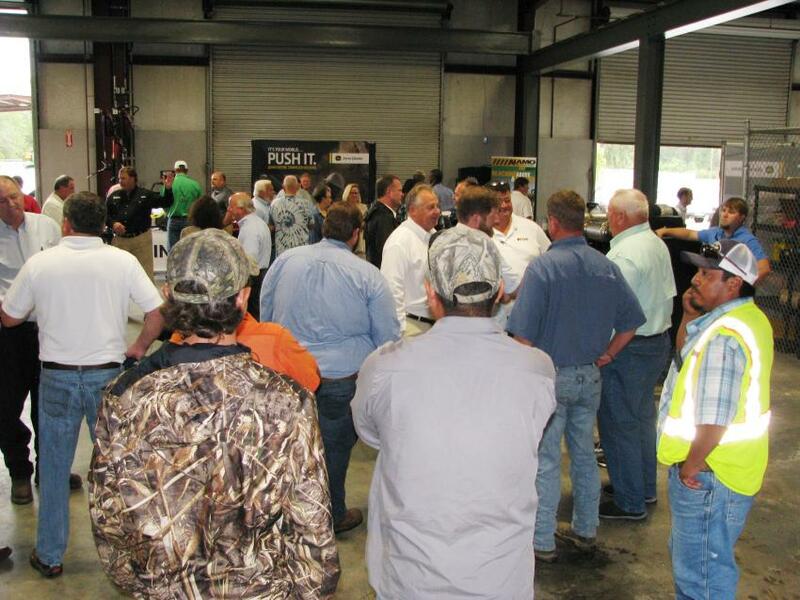 Flint Construction & Forestry Division held an open house at the company's Valdosta, Ga., location Nov. 2. 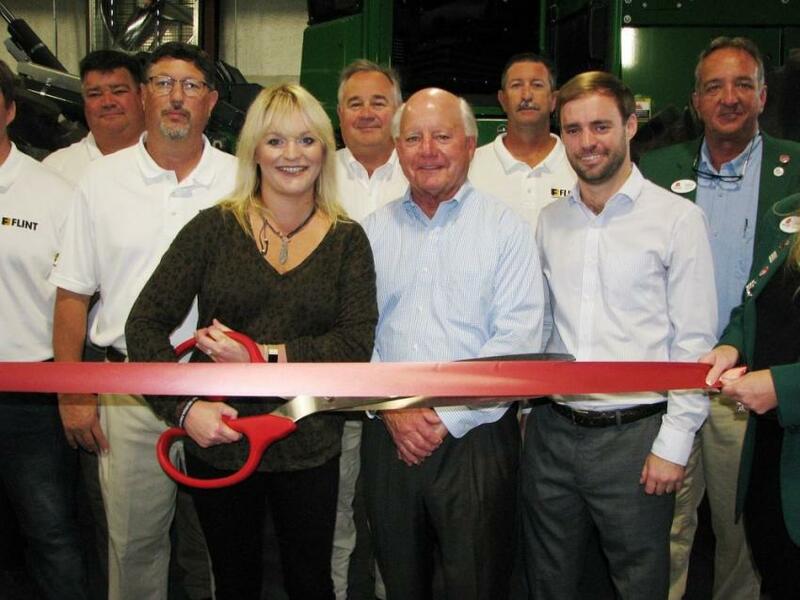 The event served as the grand opening of the branch with members of the local Chamber of Commerce and other dignitaries from the Valdosta area coming out for the official ribbon cutting. 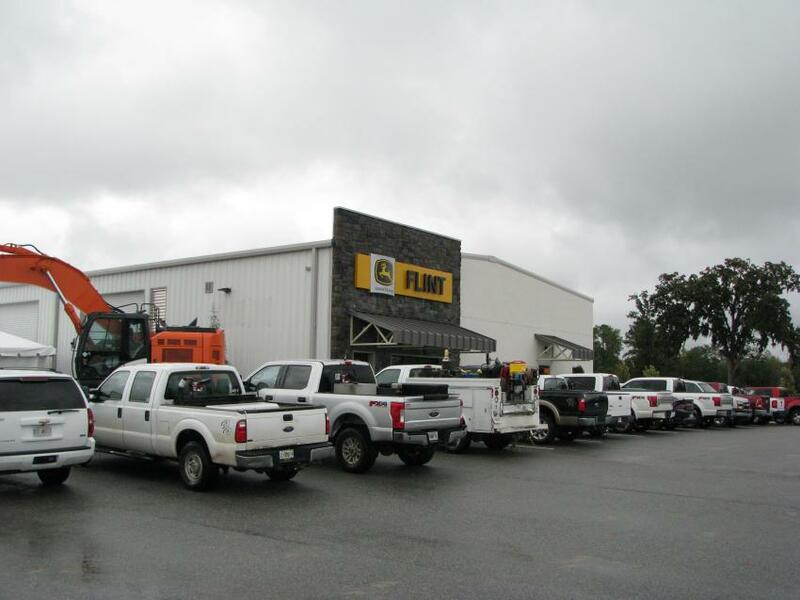 Customers, prospects and special guests were invited to take part in the ceremony, to look around the new Flint branch and to enjoy a barbecue lunch catered by Covington's. Despite torrential downpours, guests enjoyed the fellowship of the event. Giveaways were plentiful, and a wide array of prizes was awarded. 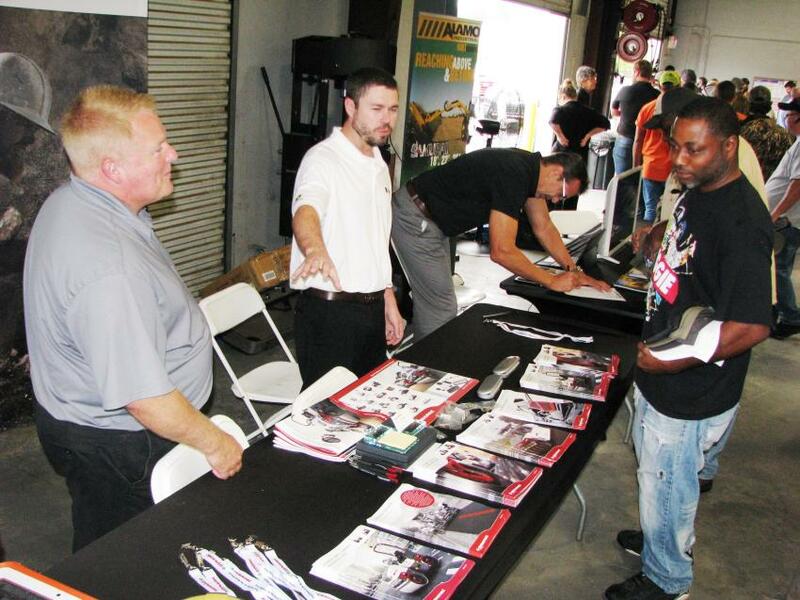 Many of the manufacturers that Flint represents turned out to lend support, including John Deere, John Deere Finance, Dynapac, Bomag and Alamo, and all of the Flint divisions — construction, forestry, agricultural (from the company's southwest Georgia territory), and power systems — were represented. Lots of new Deere construction, forestry, compact machines, and used agricultural machines were on display around the branch facility, as well as displays of equipment from all of the manufacturers that Flint represents. Flanked by Flint staffers and the local Chamber of Commerce, Christie, Chris and Flin Cannon, owners of Flint Construction & Forestry, prepare to cut the ribbon for their new Valdosta branch location. 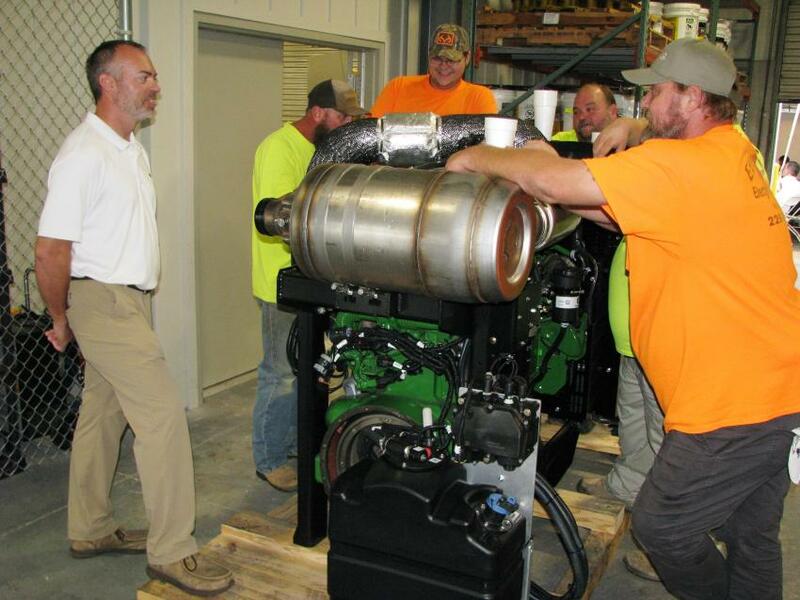 Providing more info on a John Deere Power Systems engine on display is Jason Scott (L), Flint Power Systems Division regional sales manager. (L-R): Phil Alday, C.P.A. 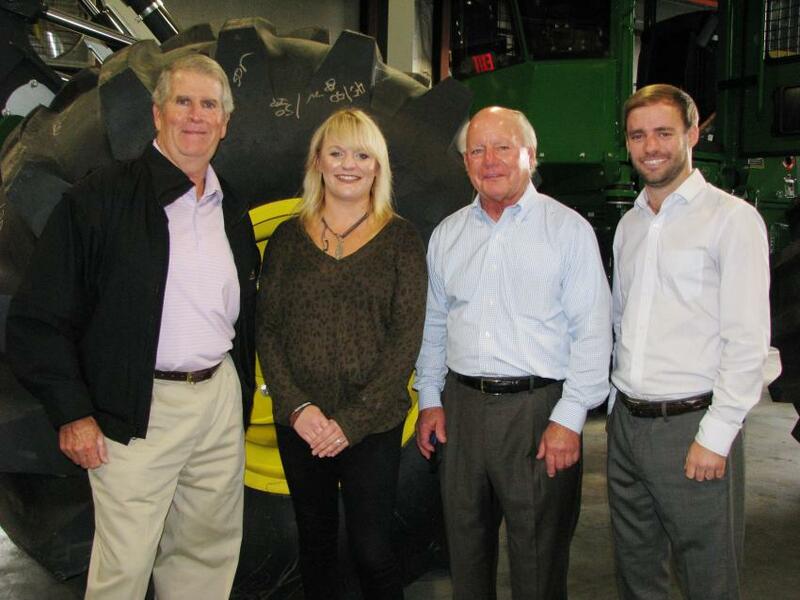 for Alday, Wright & Giles, P.C., Valdosta, Ga.; Christie, Chris, and Flin Cannon. Alday has been a trusted steward of the finances of the Cannon family for decades, since the early days and growth of Flint. The crowd enjoys the fun and fellowship of the grand opening event. The parking lot was jam-packed during the event. Discussing the outcome of the branch structure (L-R) are Tommy Martin, Valdosta branch manager; Jimmy Cone, James D. Cone Architect, Valdosta, Ga., original architect and renovation architect of the facility; and Southern Smith and Chuck Smith of Chuck Smith & Son Construction, Valdosta, renovation contractors of the facility. 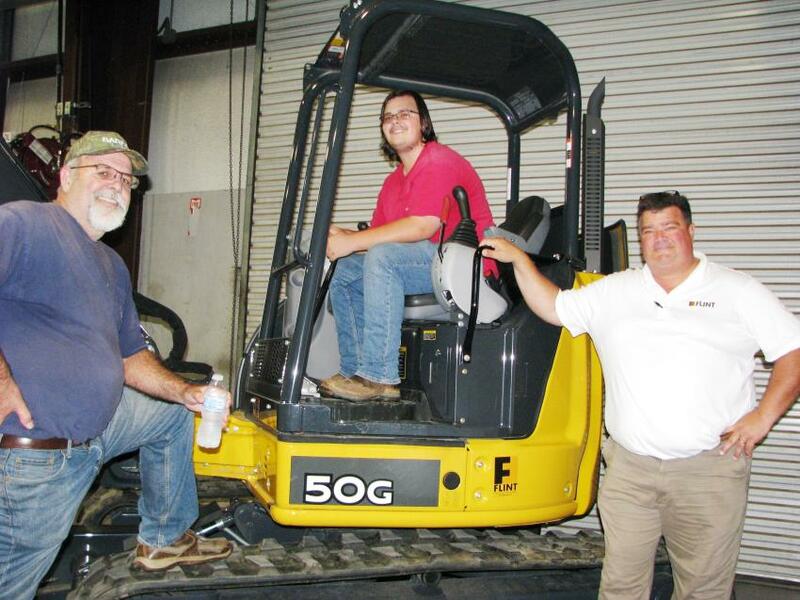 (L-R): Checking out a Deere mini-excavator inside the facility are Robert Walker and Daniel Walker of Walker Septic Tank and Excavating, Pinetta, Fla.; and Jim Rodgers, Flint-Valdosta. 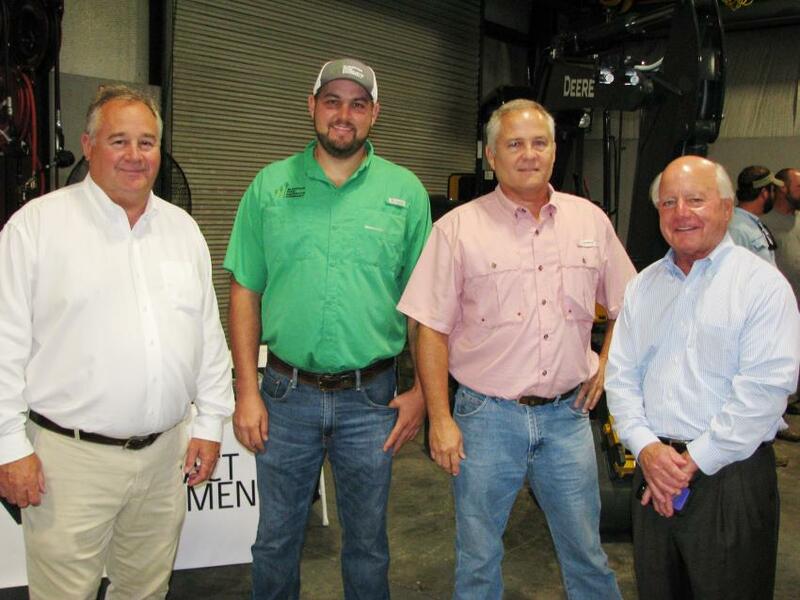 (L-R): Shawn Fishback, Flint customer service adviser, welcomes some municipality guests to the event including Donnie Warren and Will Davis of the city of Hahira, Ga., Public Works Department. 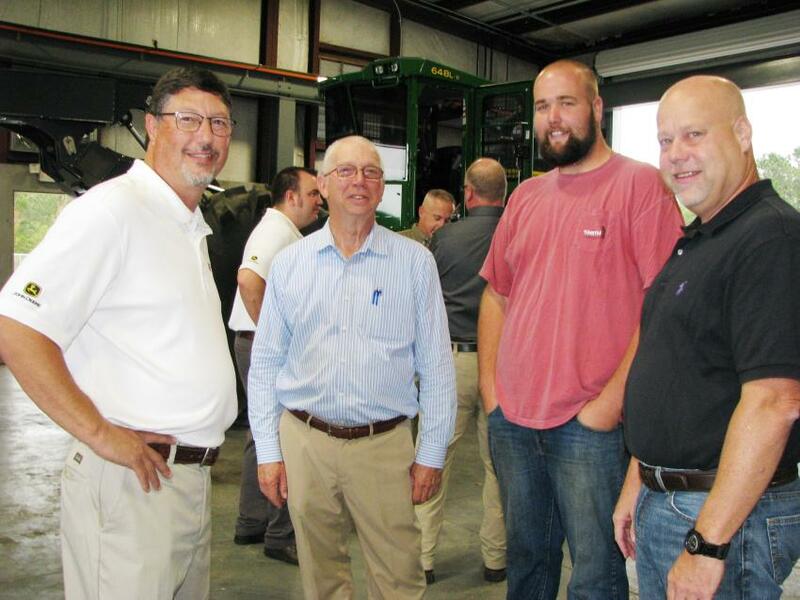 (L-R): Catching up on what’s going on around town are Justin Sims, Sims Fence Company; Tommy Corbett, James Green, and Lee Waldrop of The Scruggs Company; and their local Flint salesman, Jim Rodgers. 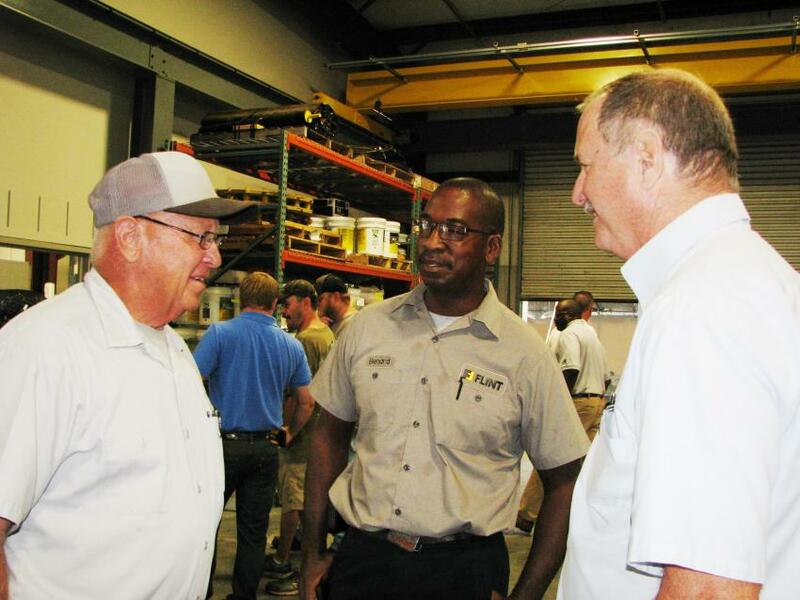 (L-R): Enjoying some post-lunch conversation are Leon Darrell Kinsey, Echols County road superintendent; Bernard Daniels, Flint field service; and Charles Lackey, Flint service manager. 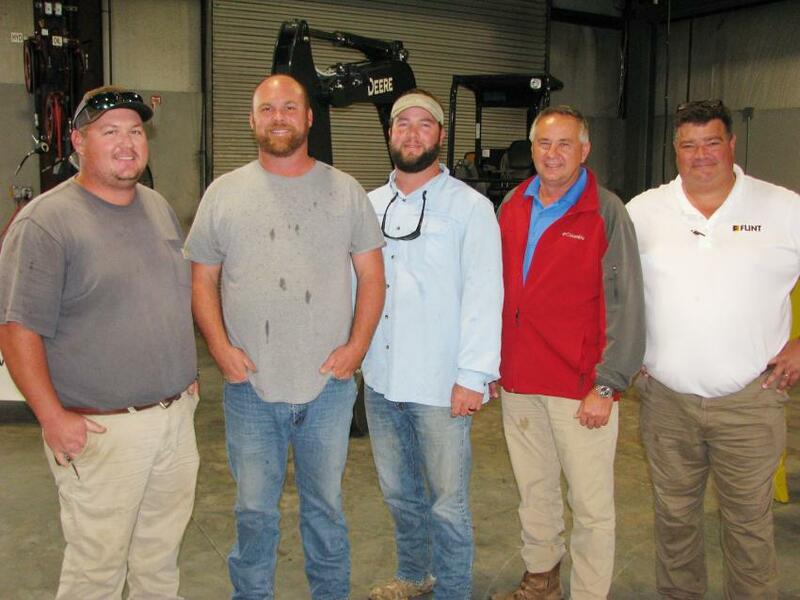 (L-R): Bill Murphree, Flint Construction & Forestry Division; Zac Mullis and Eric Harris of Superior Pine Products Co., Fargo, Ga.; and Chris Cannon talk about the forestry industry in the state of Georgia. Flint and the manufacturers it represents set up shop to provide guests as much product info as possible. 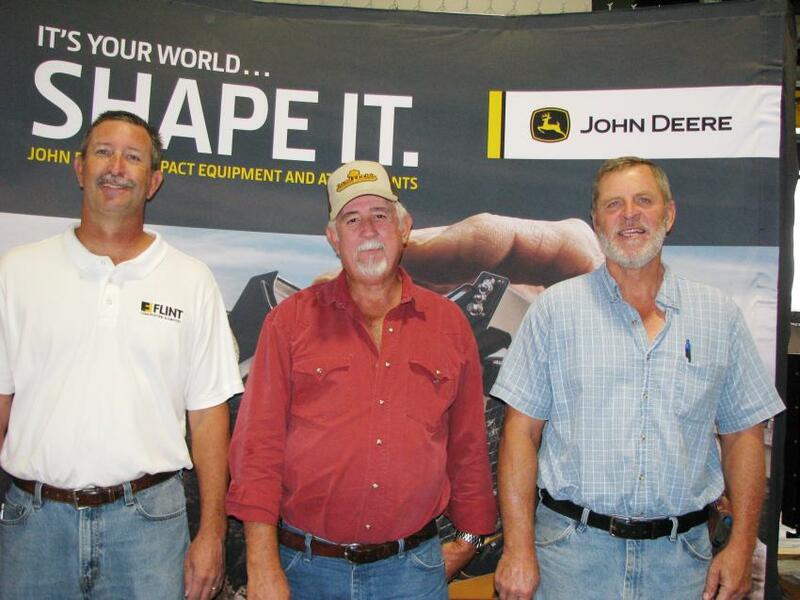 (L-R) are Joe Seckinger of Dynapac; Brandon Crockett of Flint Construction & Forestry; and Michael Pereny of Alamo. 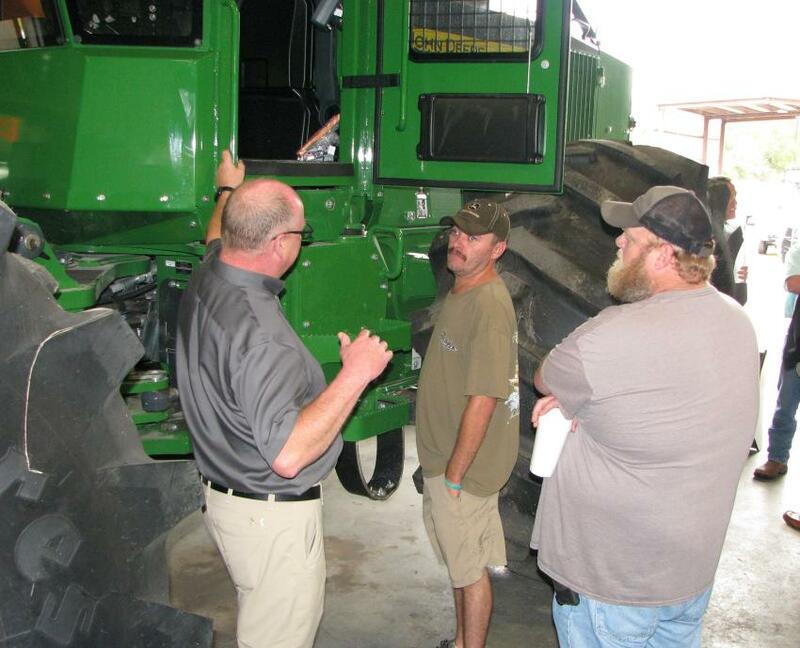 (L-R): John Deere Forestry’s Paul Holman goes over some of the product upgrades incorporated into the new John Deere 648L-II log skidder with T.J. McCall and Joe Bennett of J&J Logging of Valdosta, Ga.